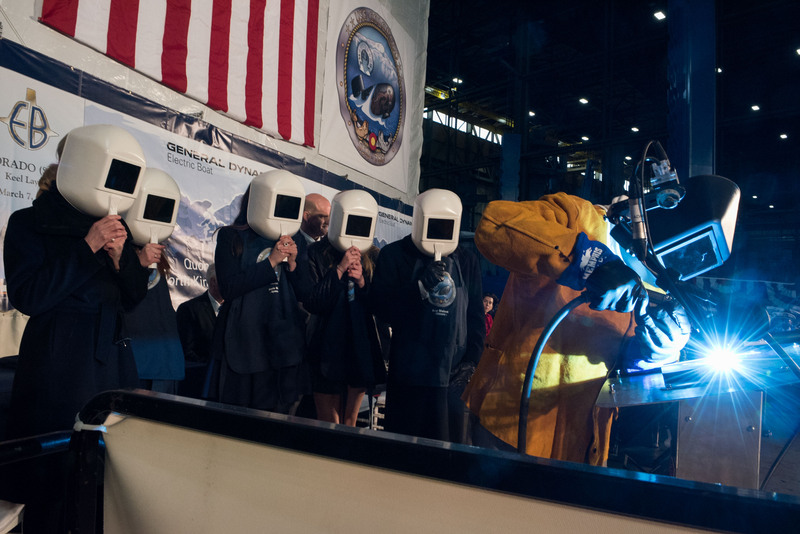 Ship Sponsor Annie Mabus authenticates the keel of the nuclear submarine Colorado at a ceremony held March 7, 2015 at Electric Boat's Quonset Point facility. Electric Boat welder John Alves welded her initials on a steel plate, which is permanently affixed in the submarine. 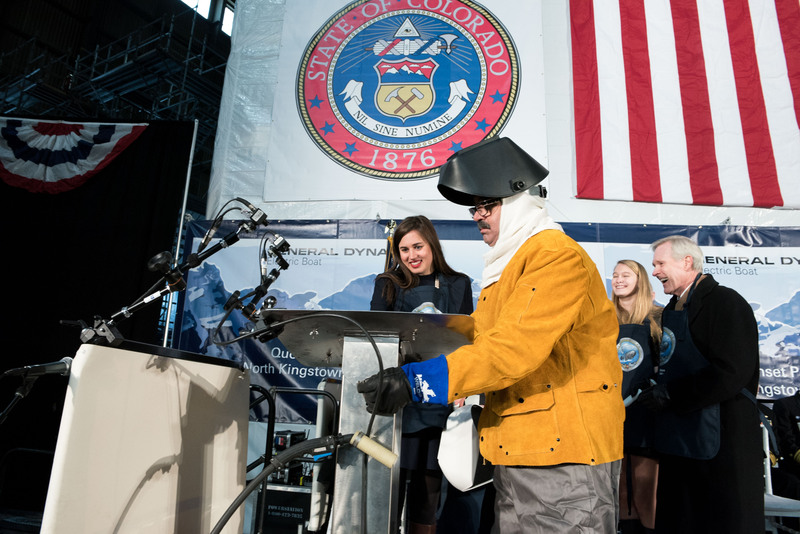 Ship Sponsor Annie Mabus christened the submarine Colorado at General Dynamics Electric Boat Dec. 3. 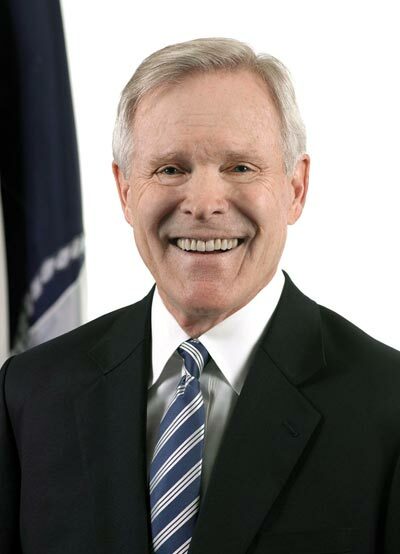 Annie Mabus was born in Jackson, Mississippi. 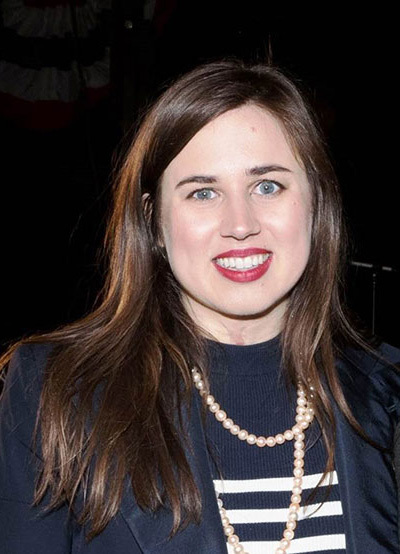 Early in her life, she moved with her family to Saudi Arabia when her father, Secretary of the Navy Ray Mabus, served as Ambassador to the Kingdom. She returned to Mississippi for her schooling and remained there through high school. During that time, she also traveled, studying in France and seeing much of the world. Annie is an accomplished swimmer who has competed throughout her life, winning a state championship as a high school junior. Annie attended New York University where she studied art history and studio art. She completed several prestigious internships at major art institutions, including The Whitney Museum of American Art and The Museum of Modern Art. She graduated with honors from NYU in 2014 and has remained in New York. After graduation she was appointed VIP manager at MoMA’s summer music series, and currently assists a prominent art and cultural advisor with international projects. Annie plans to attend graduate school and pursue a career in museum curation. The Navy plays an immensely important role in Annie’s life. With her father’s appointment as Secretary, Annie was welcomed into the Navy family and created lifelong friendships with many Sailors and Marines. She was named an honorary member of the U.S. Naval Academy’s 23rd Company in recognition of her close connection with Academy and the Brigade of Midshipmen. Her place within the Navy family was cemented when she was named Ship Sponsor of Colorado, and she looks forward to a lifelong relationship with the submarine and its crew. 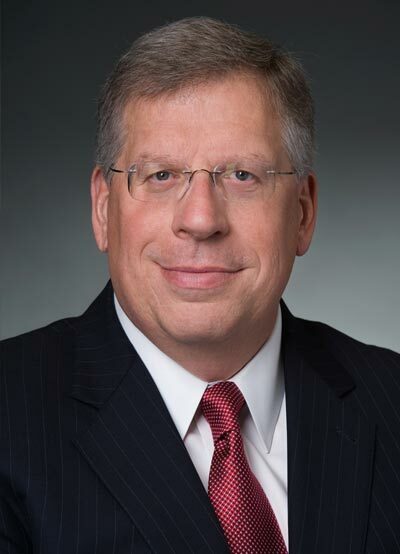 He also serves on the Board of Directors of the United Way of Southeastern Connecticut. Lieutenant Commander Col is a native of Modesto, California. He was selected for the Nuclear Propulsion Officer Candidate Program and earned a Bachelor of Science Degree in Computational Physics from University of Nevada - Las Vegas and commissioned through Officer Candidate School in 2003. Following completion of nuclear power training, he reported to USS ALASKA (SSBN 732) (GOLD) in 2005 where he served as Electrical Assistant, Main Propulsion Assistant, Damage Control Assistant, and Assistant Engineer. USS ALASKA (GOLD) completed two strategic deterrent patrols, one Follow-on Commander’s Evaluation Test, and a change of homeport to Norfolk Naval Shipyard for an Engineered Refueling Overhaul. Lieutenant Commander Col attended the Submarine Officer Advanced Course in 2010. Upon graduation, he reported to USS TOPEKA (SSN 754) as the Engineer Officer. 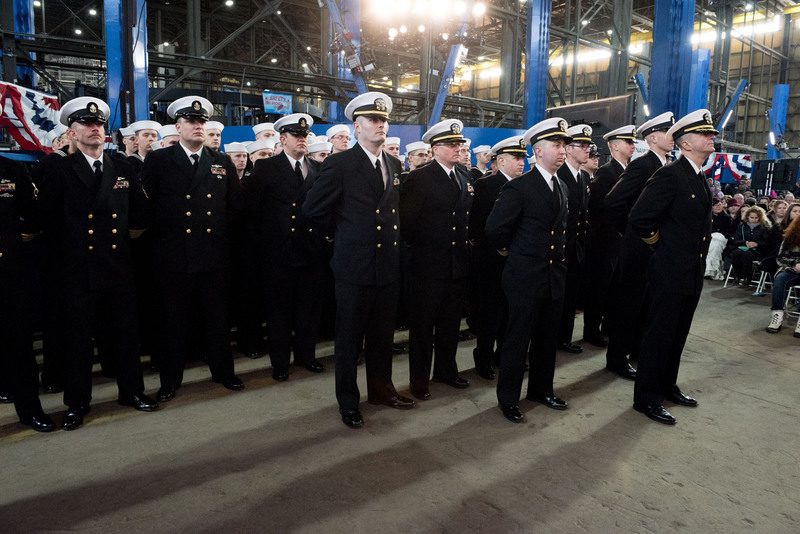 While onboard, the ship completed deployments to U.S. Southern Command Area of Responsibility and to the Western Pacific, and conducted an Arctic transit to Portsmouth Naval Shipyard for an Engineered Overhaul. Lieutenant Commander Col reported to PCU COLORADO (SSN 788) in October 2015 as Executive Officer. 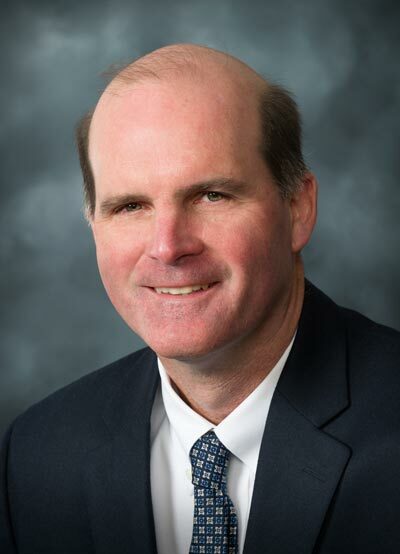 Ashore, Lieutenant Commander Col’s assignments have included earning a Master of Science Degree in Engineering Acoustics from Naval Postgraduate School, and Naval Submarine School. His awards include the Navy and Marine Corps Commendation Medal (3 awards) and Navy and Marine Corps Achievement Medal (2 awards). Commander Franklin is a native of Plant City, Florida. Enlisting in the Navy in 1989, he was trained as an Electronics Technician and reported to USS MARYLAND (SSBN 738) in 1991. He was selected for the Enlisted Commissioning Program in 1993 as a Second Class Petty Officer and attended the Florida State University earning a Bachelor of Science Degree in Computer Science in 1996. 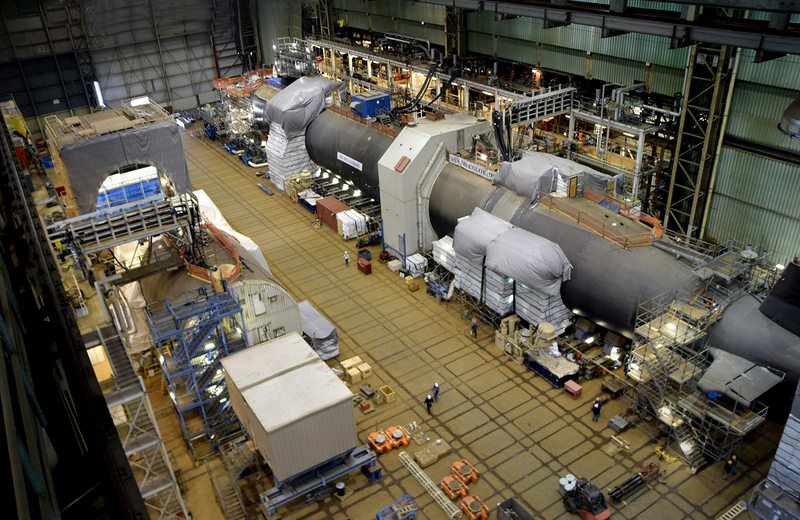 Following completion of nuclear power training, he reported to USS HARTFORD (SSN 738) in 1998 where he served as the Chemical and Radiological Controls Assistant, Main Propulsion Assistant, and Assistant Engineer. USS HARTFORD completed a North Atlantic Deployment in 1998 and Mediterranean Deployment in 2000 and earned the Submarine Squadron Four Battle Efficiency "E" for 1998. Commander Franklin attended the Submarine Officer Advanced Course in 2004 and was the recipient of the L.Y. Spear Award as class honorman. Upon graduation, he reported to the USS MAINE (SSBN 738)(BLUE) as the Navigation and Operations Officer. While onboard, the ship completed 5 strategic deterrent patrols and was awarded the Battle Efficiency "E" for 2007. While onboard USS CHICAGO (SSN 721) as Executive Officer, the ship completed a 24 month major CNO Availability while preparing for a change of homeport to Guam. 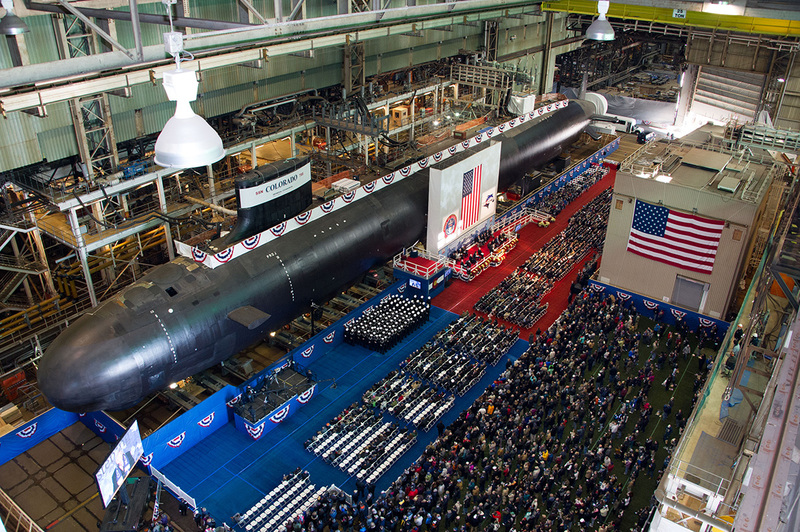 Commander Franklin reported to PCU COLORADO (SSN 788) in October 2014 as the ship’s first Commanding Officer. Ashore, Commander Franklin’s assignments have included Naval Submarine School, Headquarters U.S. Central Command, and Submarine Squadron 20 as the Deputy for Readiness. His awards include the Meritorious Service Medal, Joint Service Commendation Medal, Navy and Marine Corps Commendation Medal (3 awards), and Navy and Marine Corps Achievement Medal (3 awards). Master Chief Richter was born in Garfield, New Jersey and entered the Navy in May of 1999. Upon completion of recruit training at Great Lakes, Illinois and Basic Enlisted Submarine School (BESS) in Groton, Connecticut, he attended Electronics Technician "A" School in Groton. His first operational command was onboard USS HONOLULU (SSN 718) in Pearl Harbor, HI. Onboard the USS HONOLULU he completed his submarine warfare qualification, two Western Pacific deployments and one CENTCOM deployment before attending Electronics Technician "C" School in Groton. Upon graduation, he transferred to the USS HELENA (SSN-725) in April of 2004 as the Navigation Leading Petty Officer. Following his tour onboard the USS HELENA, Master Chief Richter reported to Submarine Learning Facility (SLF) in Norfolk, Virginia in June 2006. It was on this tour where he was advanced to Chief Petty Officer and qualified as a Master Training Specialist. Following his tour at SLF, he reported back to Pearl Harbor onboard the USS HAWAII (SSN 776) for duty as the Assistant Navigator. He completed two highly successful Western Pacific Deployments, earned the 2010 and 2012 SUBRON 1 Battle "E", two consecutive Red and Green Navigation "N", advanced to the rank of Senior Chief Petty Officer and completed qualification as a Chief of the Boat. 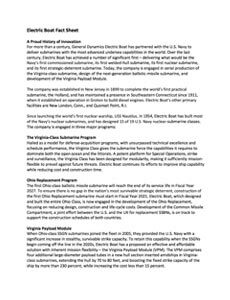 In June 2013, he reported as the Assistant Navigator on the staff of Naval Submarine School. Here he trained future submarine Assistant Navigators while preparing eighteen homeported submarines for deployment to the North Atlantic and Middle East AOR and was advanced to Master Chief Petty Officer. In November 2015, he was selected to serve as a Chief of the Boat, completed the Senior Enlisted Academy course and Command Master Chief/Chief of the Boat Capstone course before reporting to the PCU COLORADO (SSN 788) in May of 2016 as Chief of the Boat. Master Chief Richter is authorized to wear the Navy and Marine Corps Commendation Medal (four awards), Navy and Marine Corps Achievement Medal (seven awards) and numerous unit and campaign awards.